What’s your child watching on TV? Don’t fall victim to these persistent persuasion tactics by your children. 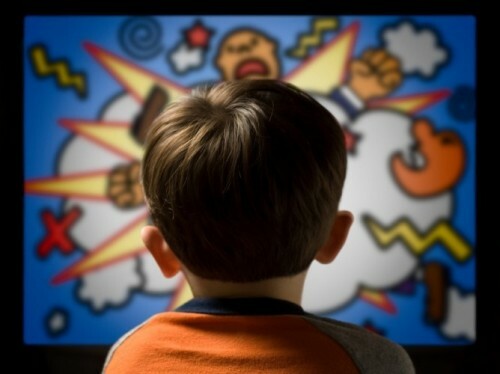 The more children are exposed to on television at a young age, the more they start to see it as normal. “The more kids see things that are too mature or scary for them, the more they see it as normal and may repeat the behavior whether that is using bad language, or being aggressive or violent,” said Joy Crabtree, a licensed psychologist at Cook Children’s Urgent Care and Pediatric Specialties in Southlake. Crabtree believes that appropriateness of television shows and movies should be determined by a number of factors such as the age of a child, maturity level and the content of the show. Use these helpful resources, provided by Lisa Elliot, a licensed psychologist and clinic manager at the Cook Children's Psychology clinic in Denton, to help monitor what your child is allowed to see on television. There are online resources where you can look up appropriate ratings of shows/movies to help you as a guide such as http://www.kids-in-mind.com/ and https://www.commonsensemedia.org/. Also, don’t forget to take advantage of your DVR. You can record a show, watch it when it is convenient for you and decide if it is appropriate for your child to watch. If your child happens to see something inappropriate on television, make sure you discuss the topic and see if they have any questions or concerns over what they saw. As a general rule, parents should monitor how much time kids spend in front of the television and other electronics every day. Use these resources to make sure you know what your child is watching on television this season. Cook Children's Behavioral Health services provides a broad range of care that focuses on children from ages three years through 17, and their families. We also have some limited services available for children age two. As part of family-centered care all of our professionals are qualified both through education and experience to work with children who have behavioral and emotional challenges. Our psychiatrists are board certified in child and adolescent psychiatry and our psychologists and therapists are all licensed independently in Texas.